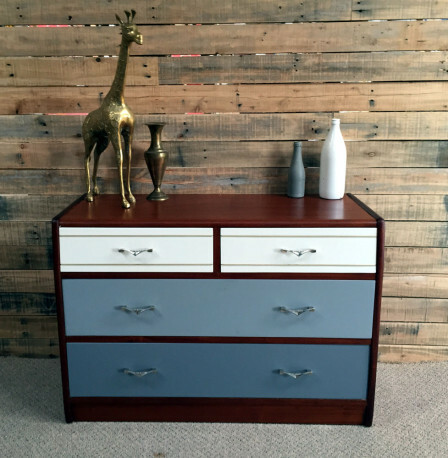 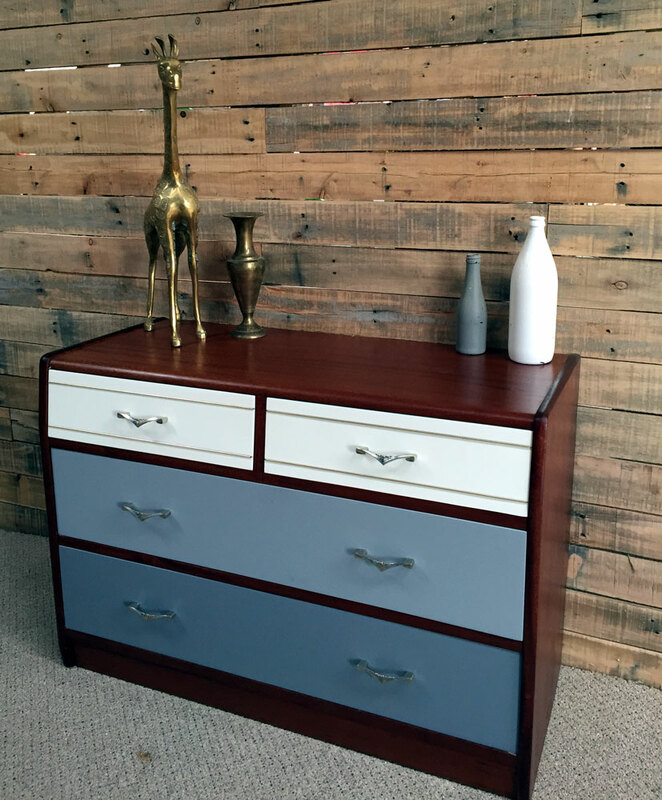 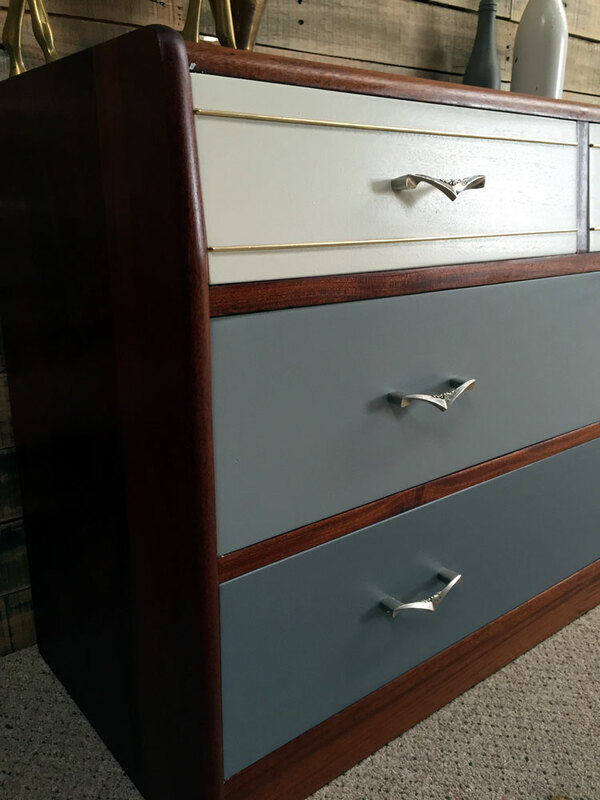 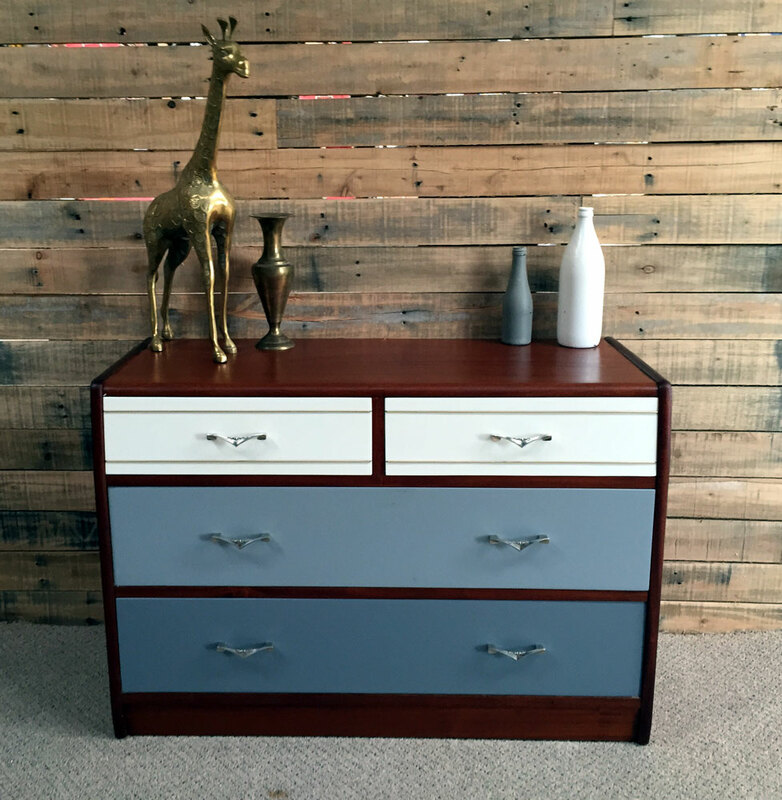 A stunning set of retro solid Mahogany drawers brought back to life by IDNZ. 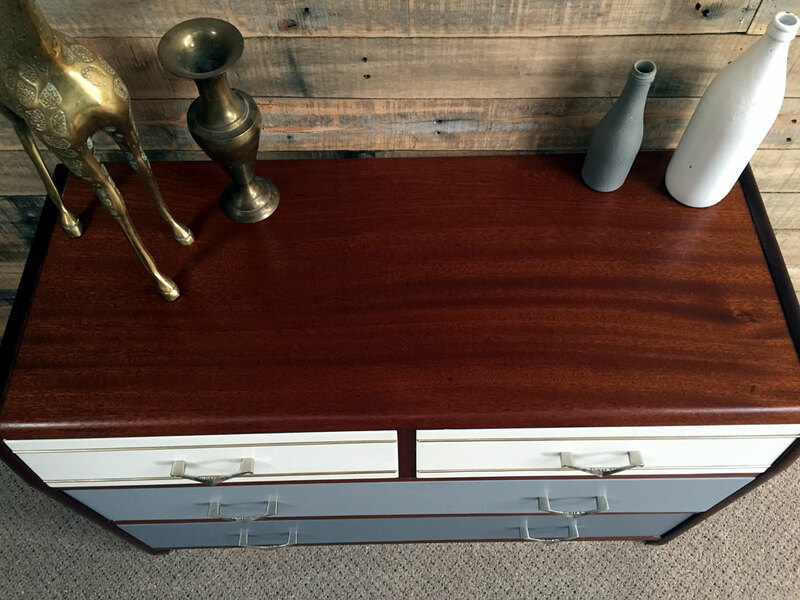 Featuring solid Mahogany timber frame with beautifully painted drawers and original polished retro handles. 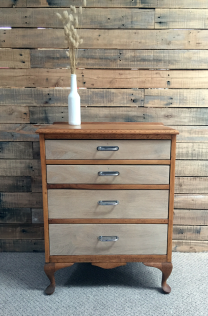 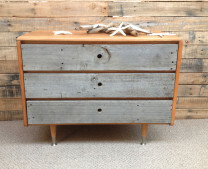 All drawers are solid timber with dovetail joins. 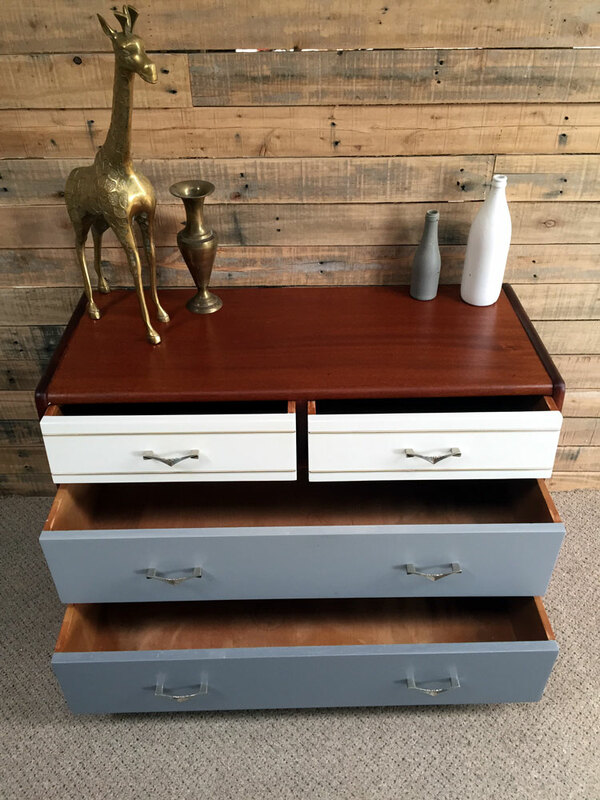 This is sure to be a conversation piece. 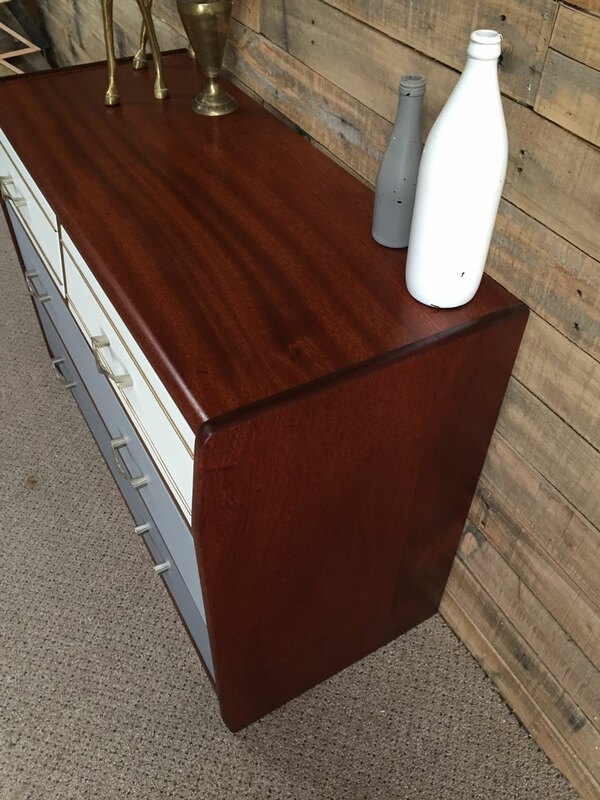 As with all our furniture these have been fully refurbished and coated in three layers of NZ Natural Danish oil for years of protection, and ease of maintenance.